Never one to miss the latest trend doing the rounds on Facebook, here is what Digital Prefect looks like in Wordle! “Social” “media” “networking” and “Twitter” seem to have their fair share of mentions, what else would you expect from the Digital Prefect…. 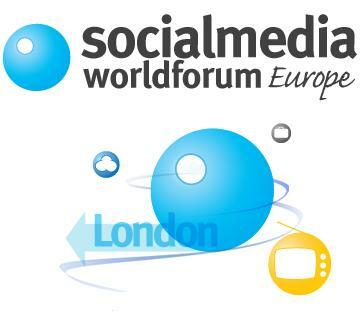 In my esteemed role of Digital Prefect, I attended this week’s Social Media World Forum. On Tuesday I was champing at the bit and eager to learn new and exciting things about the world of social media, because as any digital market knows – there are always new and exciting things to learn. Nixon McInnes consultant, Beth Granter, provided a practical and extremely useful workshop on free tools for social media. She gave a whistle stop tour of some of the key free tools that she uses for research and measurement in her social media campaigns. Wonderful! Something I can go back to the office and use. Particular favourites of mine included Addict-o-matic, which collates results from different social media search engines and the Firefox Grease Monkey plug-in, particularly because I like the name but it is also useful for customising the way a webpage displays. Realwire incorporated some handy hints about social media releases – what you should be including in your releases for an online world. Interesting stat, a social media release can improve your editorial coverage by 108% – presenting your information creatively makes it more appealing to journalists. It’s not rocket science but it’s always nice to have a stat to confirm that. The final gem for me was Immediate Future’s workshop on social media engagement, which included some practical tips on managing your social media presence – what it involves, what you want to achieve and what you need to get buy-in from your colleagues. Hard to sum up the many handy hints on offer in this one, but the phrase that stuck in my mind was “I am not a digital expert, how can you be? But I have picked up some tips along the way.” My sentiments exactly; how can anyone profess to be an expert in such a fast moving industry?! (I feel a separate blog entry coming on…). Try harder next year smwf! 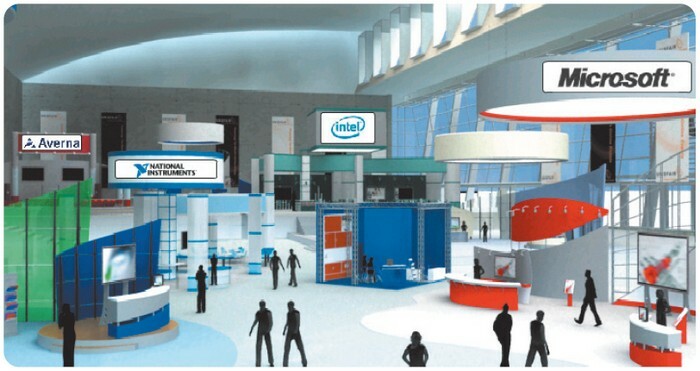 Will the exhibition business go digital mad? What would a world be like where we no longer have to leave the office to attend exhibitions, network and meet new contacts? It is perhaps an extreme example, but there are certainly exhibitions that would benefit from ‘virtual’ alternatives. Are social media exhibitions, for example, being hypocritical if they don’t embrace the digital world enough to take their shows online?! I am not suggesting in the slightest that all exhibitions will or should move online – and actually I quite like the real, physical aspect of exhibitions. The meandering around, meeting new people, picking up samples…but it certainly is a way to reach those that cannot spare a whole day walking the floor at Olympia or Excel. Meanwhile I look forward to attending the very real Social Media World Forum next week and exploring the world of digital through good old fashioned seminars and exhibition stands.